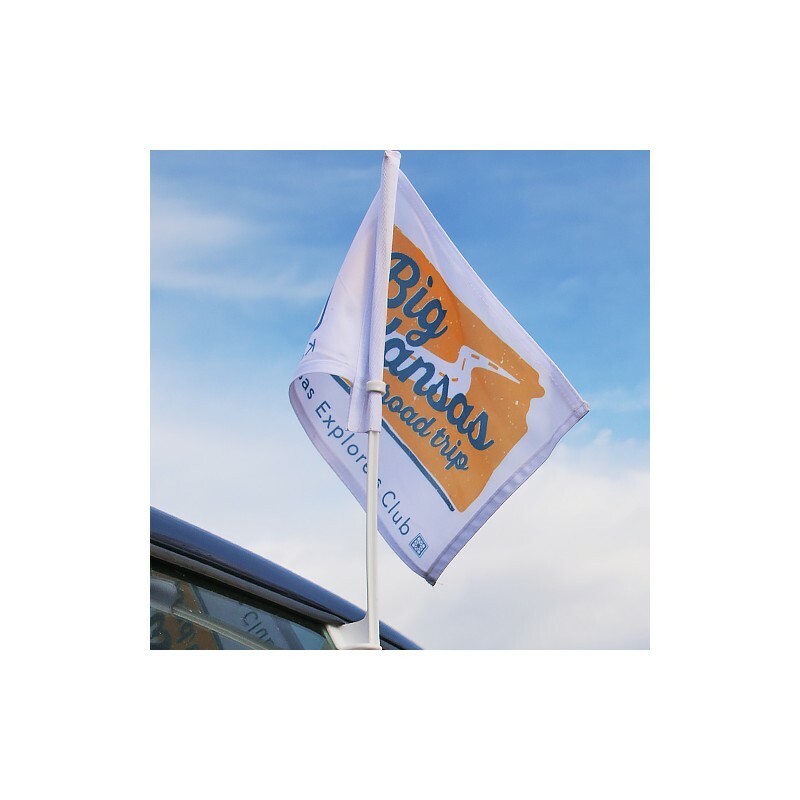 Fly your BKRT flag and let others know you're headed to the BKRT and when you exploring the three host counties. It will identify you as a BKRT participant and creates a festive mood to the four day event. The flag slips easily over your car window while allowing you to roll your window all the way up. It measures 7 inches wide and 10 inches long. 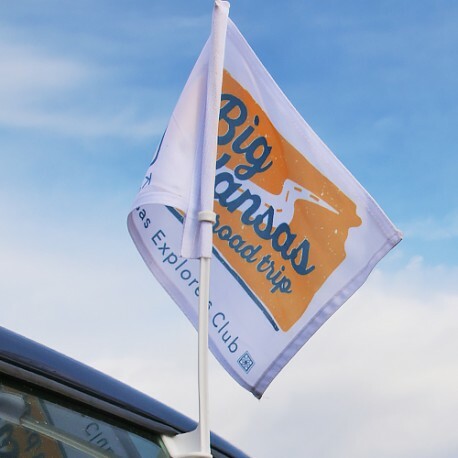 The weather resistant flag slips snugly over a sturdy 15-inch pole.